Bit of a change in coast (again) which meant a swift and easy walk into t’sneachda with high hopes of drier and colder weather than over west. 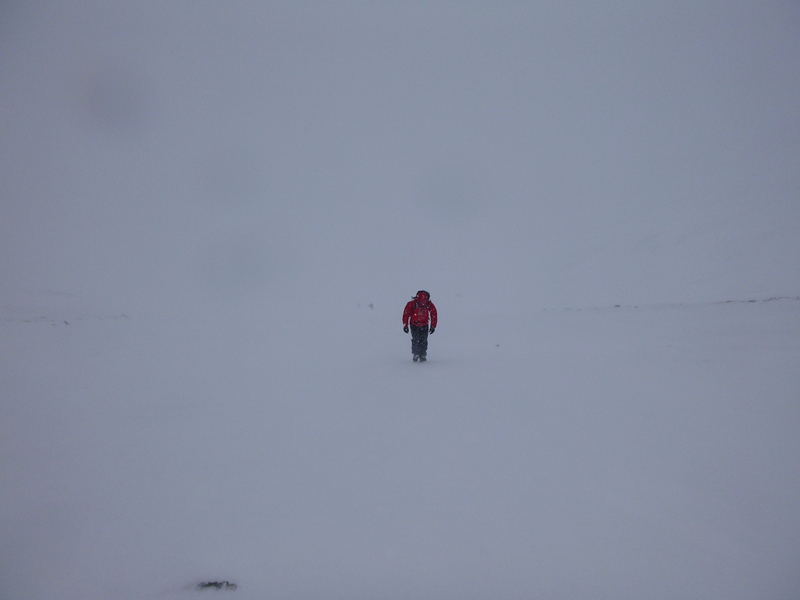 To be honest we left the carpark in a bit of a blizzard getting absolutely battered by the wind right up to the base of Aladdin’s where we were joined by Gary and Paul also heading for the same buttress. I only have a few routes left to do here and The Lamp (V,6) was one of them. The bottom 4m are completely buried but at least the upper half of the first pitch was there giving a good bit of climbing before linking the traverse out right into the snow bay. 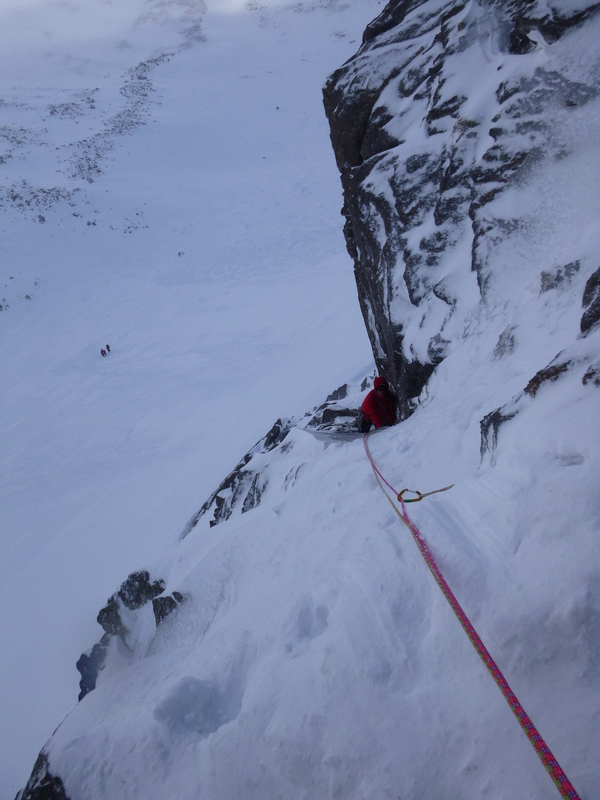 The upper pitch had a few nice wee moves on superb snow and neve depositing us right at the abseil into the couloir for a great short day out. Paul and Gary did The Genie, other teams were on Damnation, Doctors Choice and Original Route. 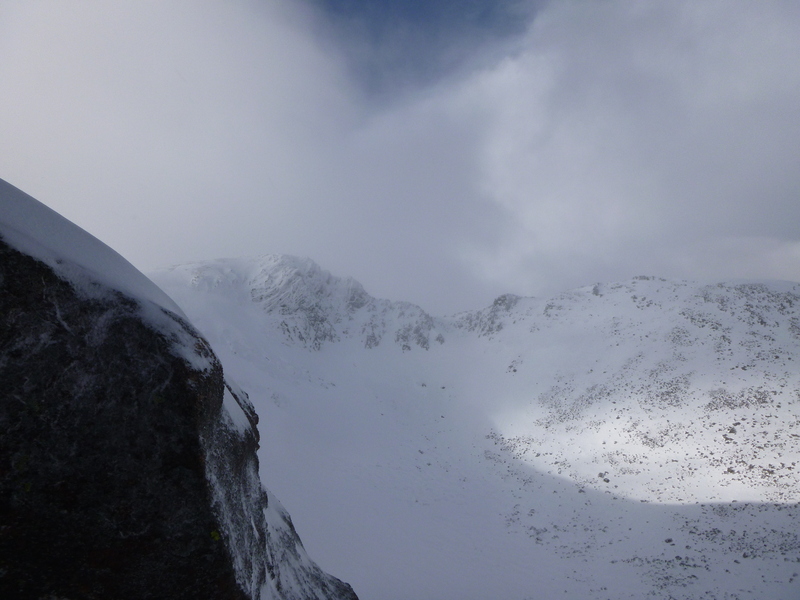 Blue skies and hardly any wind in the end – what a treat!